It is a paradise of clean beaches bathed by the Sun, tropical rain forests and smiling and friendly inhabitants. Tourists can enjoy areas of forests, countless rivers, an incredible diversity of flora and fauna, impressive volcanoes, and beaches. Costa Rica occupies a privileged spot in the heart of Central America. While its territory of 19,652 square miles touches both the Caribbean Sea and the Pacific Ocean, the country is surprisingly accessible – one can travel from coast to coast in just three hours by car (or 45 minutes by plane). Guanacaste is a province of Costa Rica located in the northwestern part of the country, along the coast of the Pacific Ocean. It borders Nicaragua to the north. To the east there is the Alajuela Province, and to the southeast is the Puntarenas Province. It is the most sparsely populated of all the provinces of Costa Rica. The province covers an area of 10,141 km2 (3,915 sq mi) and as of 2010, had a population of 354,154. Guanacaste’s capital is Liberia. Other important cities include Cañas and Nicoya. The province is bounded on the east by a group of green-swathed volcanoes forming the Cordillera de Guanacaste and the Cordillera de Tilaran. The rivers that tumble out of these steep mountains flow down to rolling flatlands, forming a vast alluvial plain drained by the Rio Tempisque, which empties through swampy wetlands into de Golfo de Nicoya. The Rio Tempisque defines one side of the horsehead-shaped Peninsula de Nicoya enclosing the gulf to the west. Guanacaste’s climate and culture are unique among Costa Rican provinces. The province experiences little rain and consistent heat from November to April, resulting in ubiquitous tropical dry forests as a natural adaption to the dry season conditions. Tourists seek out this dry heat during the North American winter to enjoy the Guanacastecan beaches. Irrigation of the agricultural land is necessary during the long dry period. From May to October, the climate is similar to that of San José, consisting of showers daily and moderate temperatures. 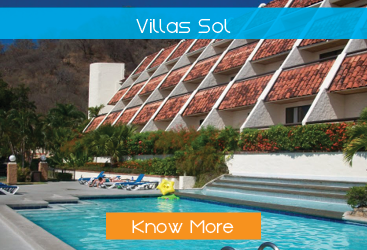 Guanacaste is, however, considerably warmer than other provinces located in higher elevations. Tourism spreads across Guanacaste’s 5,921 sq. miles and more than 400 miles of coast line. Main attractions of tourists include water, land, mountains, volcanos, and coastal ecosystems. The two main commercial areas Santa Cruz and Liberia with five surrounding tourism development centers: Papagayo, El Coco, Flamingo, Conchal, and Tamarindo. Liberia is central to the five locations and is complete with an airport. Most of the population descends from a mix of Chorotega natives and Spaniards, with a significant African admixture as a result of a large number of slaves working the land during the colonial period. As in Nicaragua and elsewhere in Costa Rica, The Chorotega culture and the Spanish culture have successfully integrated; among the main cultural elements are their music, literature (folklore), musical instruments, bullfighting, and religious events. Costa Rica provides its visitors with hotels tthat match every budget, group size, and destination type. Find beachfront breezes, distinctive luxury, sustainable hotels, hilltop retreats, and honeymoon getaways. Costa Rica provides tours and activities to explore ecosystems and connect with a peaceful culture, where you can go discover fascinating species, zipping across the rainforest canopy, or relaxing in a volcano-heated hot spring. There are a variety of options for moving between destinations in Costa Rica – domestic flights, rental cars, shuttles, private vans, ferries, public bus, and even horseback. Bathed by the sun of the north Pacific coast, offering the perfect combination of services and beauty combined with elegance and comfort.